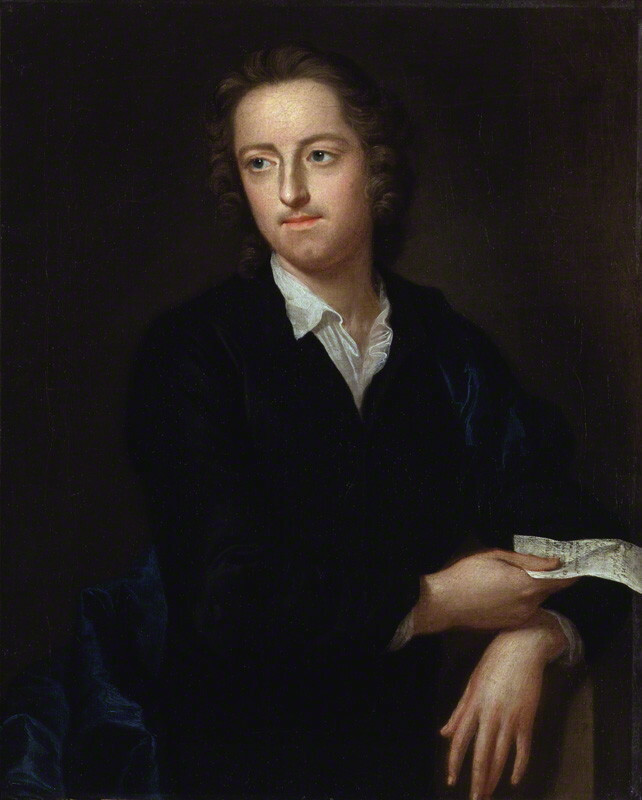 Thomas Gray, by John Giles Eccardt. 1747–48, oil on canvas (© National Portrait Gallery, London, NPG 989). Born in London, Thomas Gray was the fifth and only surviving child of twelve children born to Philip Gray, a scrivener, and Dorothy Antrobus, a millener. Despite, or perhaps because of, unhappy home circumstances, Gray was educated at Eton, where two of his maternal uncles taught and where he forged long-lasting friendships with Horace Walpole, Richard West, and Thomas Ashton, as well as with Jacob Bryant and Richard Stonhewer. Whilst a student at Peterhouse, Cambridge, Gray corresponded with Walpole and West; the friends sent poems and wrote occasionally in French and Latin. During these early years at Cambridge, Gray became a close friend also of Thomas Wharton. Gray accompanied Walpole on the Grand Tour and the two travelled together between 1738 and 1741, only parting company following a quarrel at Reggio. Back in Cambridge in 1742, Gray proceeded to Bachelor of Civil Law the following year. It was on the death of his friend Richard West that he took to write poetry in earnest and, following reconciliation with Walpole in 1745, he began with the help of the latter to publish. Despite his modest output, Gray was admired as a poet; he was also influential. Although he could in no manner be described as productive — the works published during his lifetime amount to fewer than 1,000 lines — together with William Collins (1721–1759) he became the predominant poetic figure of the middle decades of the eighteenth century. The metadata for this catalogue in EMLO was supplied by the Thomas Gray Archive. Co-founded by Reimer Eck, formerly Associate Director at Göttingen State and University Library (SUB Göttingen), and Alexander Huber who continues as its editor, the Thomas Gray Archive is supported by the Bodleian Libraries, University of Oxford and has received past support from SUB Göttingen. Cultures of Knowledge would like to thank Jack Ostrowski for his work to unpack the metadata from the XML/TEI files in which it arrived and EMLO Digital Fellow Lucy Hennings for her assistance with the people, places, and repository records associated with this calendar. The 651 letters calendared in this EMLO catalogue date between April 1734 and June 1771, the month before Gray’s death. Written for the large part in English, with a handful in French, Italian, and Latin, there are 533 letters written by Gray. Each letter record is linked to the catalogue entry mounted on the Thomas Gray Archive, where it is accompanied, in turn, by digitized manuscript images (where available) and digitized images of a print edition. Many of the letters have been transcribed and searchable text encoded in TEI/XML is available also. The majority of the letters survive in the form of autograph manuscript or near contemporary transcription. There are 133 letters for which no manuscript copy has been located to date, and thus far fifty-nine letters are known to have existed, but have not survived; these have been listed within the calendar. William Mason, who was authorized by Gray in his will to ‘preserve or destroy [Gray’s papers] at his own discretion’, edited many of the letters for his edition of 1775 and for a number of letters this is now the only extant authority. Most of Gray’s letters are preserved today within libraries, archives, and museums around the world, while a few reside in private hands. The Gregorian calendar was adopted in the British Isles in 1752. Dates of the letters written in Britain before September 1752 are given in the Julian calendar, therefore. In addition, the Calendar Act of 1752 made 1 January the official start of the year rather than 25 March (Lady Day). Letters with imprecise dates (for example, those with only a year) pose a problem. The dating on some letters of the letters written by Gray and Walpole during their Grand Tour on the continent (1739–41) carry the addition ‘N.S.’ (New Style), indicating the Gregorian calendar has been used rather than the Julian (Old Style); it is not clear in every instance, however, whether this refers to the adjustment of calendar, to the start of year, or to both. The Poems of Mr. Gray. To which are prefixed Memoirs of his Life and Writings by W. Mason (York [London]: J. Todd; J. Dodsley, 1775). The Works of Thomas Gray… To which are added, Memoirs of His Life and Writings, by W. Mason, M.A., vols. I./II. The third edition, carefully corrected (London: Vernor, Hood, and Sharpe; J. Walker; Longman, Hurst, Rees, and Orme; J. Murray; and J. Booker, 1807). The Works of Thomas Gray … to which are subjoined Extracts philological poetical and critical from the author’s original manuscripts, volume I, selected and arranged by Thomas James Mathias (London: William Bulmer, 1814). The Works of Thomas Gray, volume II, containing The Letters; with important additions and corrections from His Own Manuscripts, Selected and edited by the Rev. John Mitford (London: J. Mawman, 1816). The Letters of Thomas Gray, chronologically arranged from the Walpole and Mason Collections, 2 vols in one (London: J. Sharpe, 1819). The Works of Thomas Gray, ed. the Rev. John Mitford, vols II–V (London: William Pickering, 1835–43). The Correspondence of Thomas Gray and William Mason, with notes and illustrations by the Rev. John Mitford (London: Richard Bentley, 1853). Gray and his Friends: Letters and Relics, in great part hitherto unpublished, ed. Duncan C. Tovey (Cambridge: University Press, 1890). 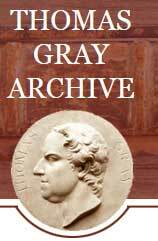 The Letters of Thomas Gray, including the correspondence of Gray and Mason, ed. Duncan C. Tovey (London: George Bell and Sons, 1900–12); vol. I [1735–1757]; vol. II [1757–1762]; vol. III [1763–1771]. The Correspondence of Gray, Walpole, West and Ashton (1734–1771), 2 vols, arranged and edited with introduction, notes, and index, Paget Toynbee (Oxford: Clarendon Press, 1915); vol. I. (1734–1740); vol. II. (1741–1771).